This block will teach us how to relax as we let the store ScanNCut cut out all of our fabrics for us.Â It will be like sewing right on the Beach! This block is a fantastic way to master applique, or just sit back and RELAX and sew with friends! 1 top Background Block cut to 14.5" x 3.75"
1 Middle Background Block cut to 14.5" x 2.75"
1 Bottom Block (Sand) cut to 14.5" x 9"
Misc fabrics for all the appliques. 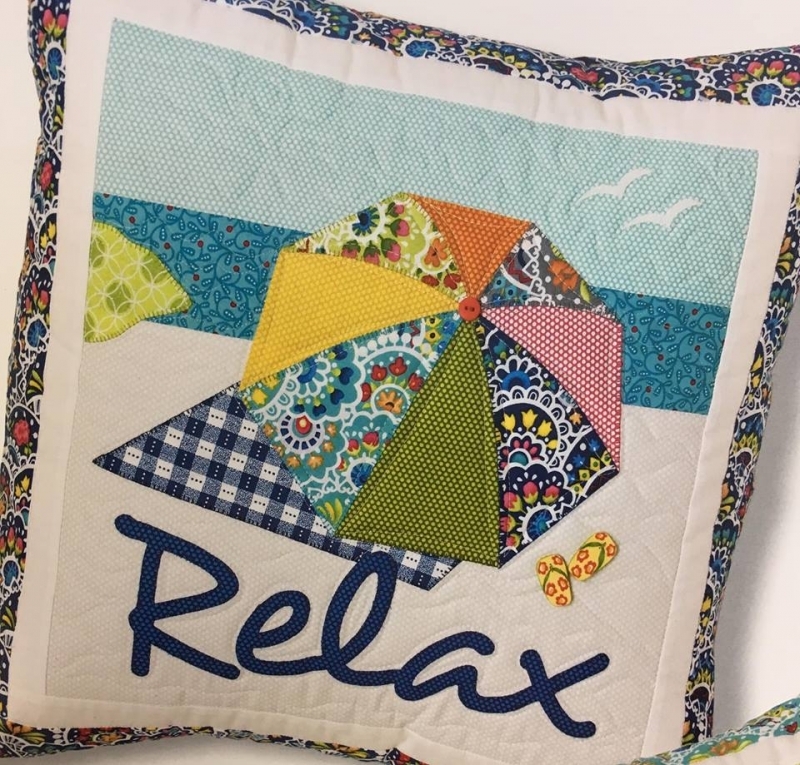 You will need pieces for the umbrella, blanket, the word relax and a small hill in the background. Applique Pieces need to be pre-fused to Appli-Stick opr Similar applique backing.